The FlexARMOR series features high-density neoprene material designed to comfortably store and protect your device. The flexible fabric fits like a glove, snugly conforming to your gadget's shape for that perfect fit. The material helps absorb shock from dings and bumps, while also withstanding the abuse from daily wear-and-tear. The case flaunts a scratch-resistant inner lining to help keep your device's screen looking pristine. 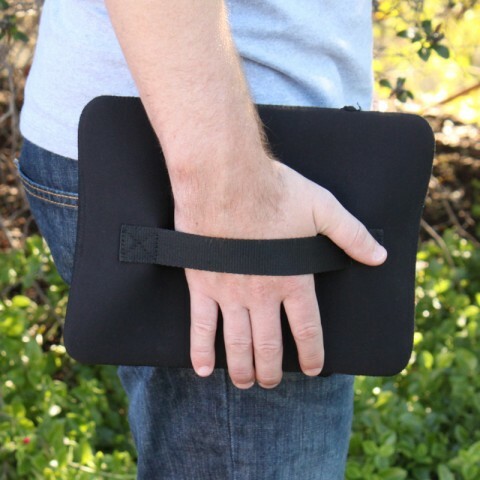 Each sleeve combines the durable neoprene with heavy-duty stitching to ensure long-lasting protection for your devices. 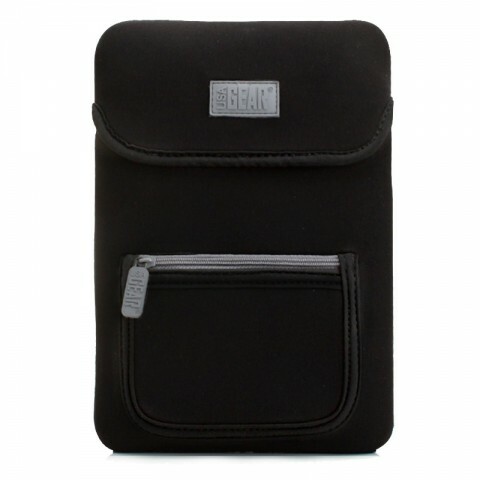 This tablet sleeve protects your device in style with the black neoprene exterior and dark grey accents. The sleek design makes it the perfect case for every setting at home, school, office or traveling.